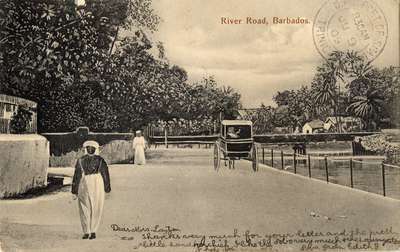 A postcard of the River Road in Barbados sent from Edith G. to Mrs. Layton in San Fernando, Trinidad, B.W.I. Thanks very much for your letter and the pretty little handkerchief. I like the --- very much & the ---- too. I hope you are well.